Visitors can read about efforts underway to study the interactions between the Sun and Earth, particularly those involving plasma and energetic particles from the Sun impacting upon the Earth's ionosphere and magnetosphere. 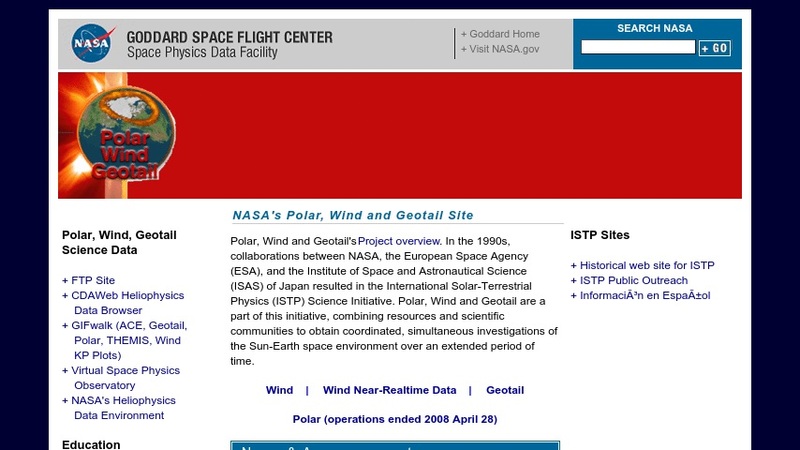 The missions of three satellites (Polar, Wind, and Geotail) are described. Links to news articles and related meetings and workshops are also included.